Do you want your hat to fit YOUR HEAD!? This is the answer! 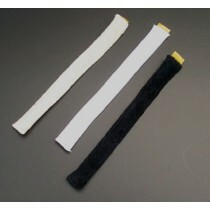 Cloth peel and stick sizers in black, white or beige which you put inside the hat. The cloth sizer may be cut to fit and are oh so comfy next to the skin or hat. Fabulous for ladies with small heads having trouble getting a hat to fit.